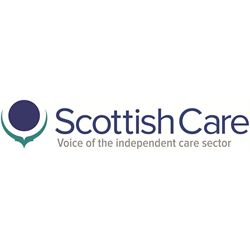 Scottish Care is a membership organisation representing the largest group of independent health and social care providers across Scotland. An exciting opportunity has arisen within Scottish Care for a Workforce Policy and Practice Lead to join the national Scottish Care team. This full-time post is initially from April 2019 to March 2020 with a possible extension beyond this. The post is remunerated at £45,000 plus agreed expenses. Applicants must be qualified to degree level or equivalent and have experience of working at a senior level in health or social services or a related area. Current knowledge of the national workforce development agenda, social care workforce regulation and qualifications, and experience of leading a learning & development function or project are desirable. The consultant will operate at a national strategic level; create significant collaborations for independent care sector organisations; contribute to national policy groups and consultations; source expertise and knowledge from key stakeholders; produce reports; gather and analyse evidence; organise and deliver national workforce events and presentations and work across the sector nationally. The role requires skilful collaboration with key partners in the Scottish Government, Scottish Social Services Council (SSSC), Care Inspectorate, NHS Education for Scotland, local authorities, third sector and others with a requirement to attend frequent meetings and events across Scotland. The contract offers a flexible, home based option and the post-holder will report to the Scottish Care Chief Executive, Dr Donald Macaskill.